It took about 2 hours to get out of Paradise as the town burned around them. 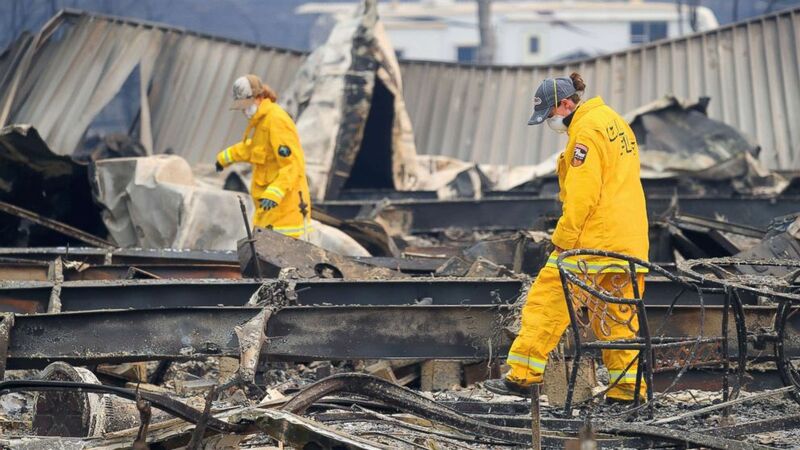 A Paradise, California, couple made a harrowing escape from the deadly Camp Fire with their four young children, describing it as driving "through hell." When the blaze neared, Michelle and Daniel Simmons piled their kids -- ages 8, 7, 2 and 1 -- into their car to flee for their lives. They grabbed their wedding rings, a stuffed animal and a blanket. "It was so hot and so hard to breathe," Michelle Simmons told ABC News. The children "were really scared. They kept asking a lot of questions." "There was a woman on the side of the road running with her baby. I just replay the image over and over. She was barefoot," she said. "I think the worst part for me, personally, was seeing the community, seeing everybody panicking." Daniel Simmons described it as "traumatic," adding, "There were a couple moments where I didn't think we were gonna get out." It took them about two hours to get out of Paradise as Michelle Simmons' hometown burned around them. 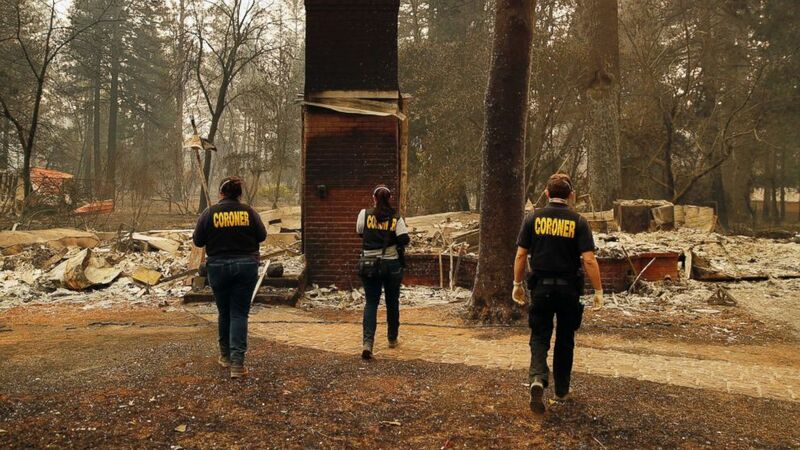 (Jim Wilson/The New York Times via Redux) Firefighters search Ridgewood Mobile Home Park in the aftermath of the Camp Fire in Paradise, Calif., Nov. 12, 2018. Once they reached safety, Michelle Simmons said she took the kids out of the car, hugged them and cried, feeling overwhelmed with thanks that they were OK but sadness that they'd never have their home back. The family is together and safe, with the exception of two of their cats who remain missing. "We drove through hell but we're lucky," Daniel Simmons said. "There's so many other people who went through worse." At least 48 people have died in the Northern California Camp Fire, now the the deadliest on record in the state. 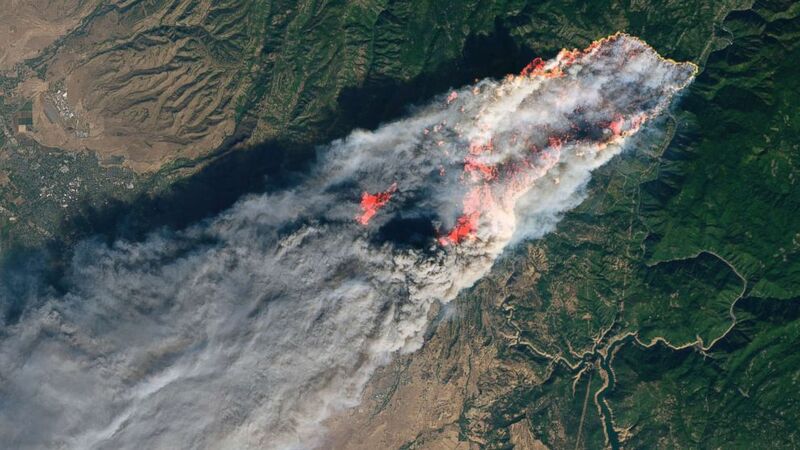 The blaze has burned over 130,000 acres and nearly demolished the town of Paradise. Michell and Daniel Simmons' home is one of the many in the town now burned to the ground. Daniel Simmons said his employer has been extremely supportive, providing them with a hotel room and rental car. But they said many of their neighbors are not as lucky. "I can see people staying and sleeping in their cars," Michelle Simmons said. "Everyone's homes are destroyed. These people need so much help."